Back in 2013 when I put together the photos that would become Marion’s Ruins: A Photo Essay, I never imagined I would at some point have enough photos for a part two let alone a part three. But here I am with a few more, some of them recent and some of them a few years old. 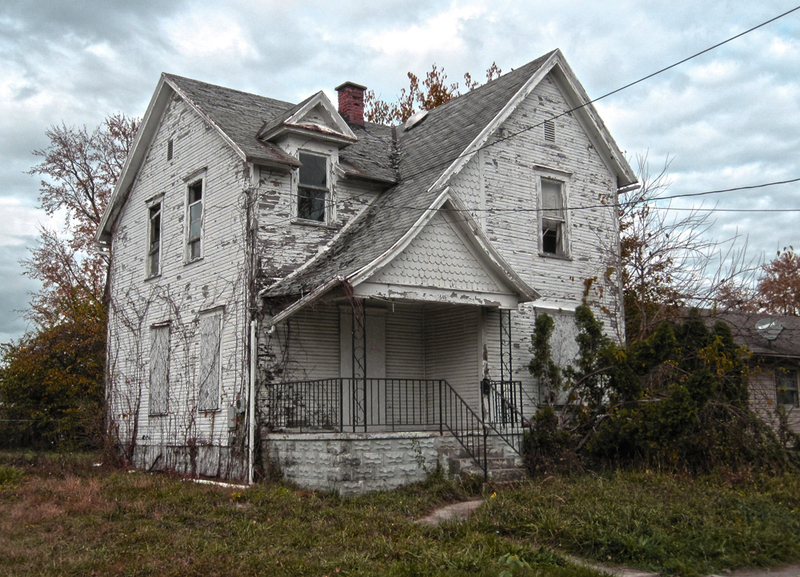 Over the past couple of years, there has been a lot of discussion about why we find abandoned houses and crumbling building so fascinating. Personally, I think images like these are symbolically powerful in that they remind us that all of our endeavors – indeed, all of us – are ultimately at nature’s mercy. Being reminded of this is both profound and a little, well, spooky. If you know any additional information or stories about these properties, please feel free to comment below! 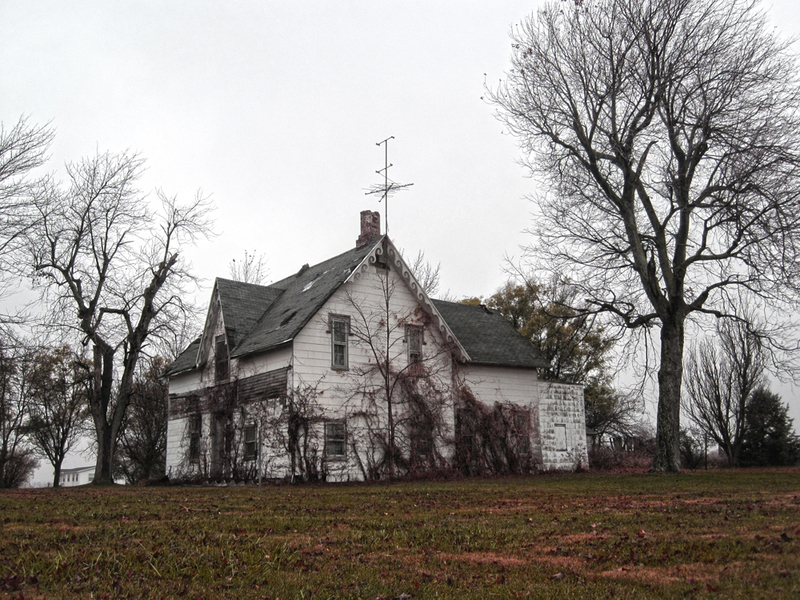 An abandoned house located near the corner of Irvin Shoots and Goodnow Road. 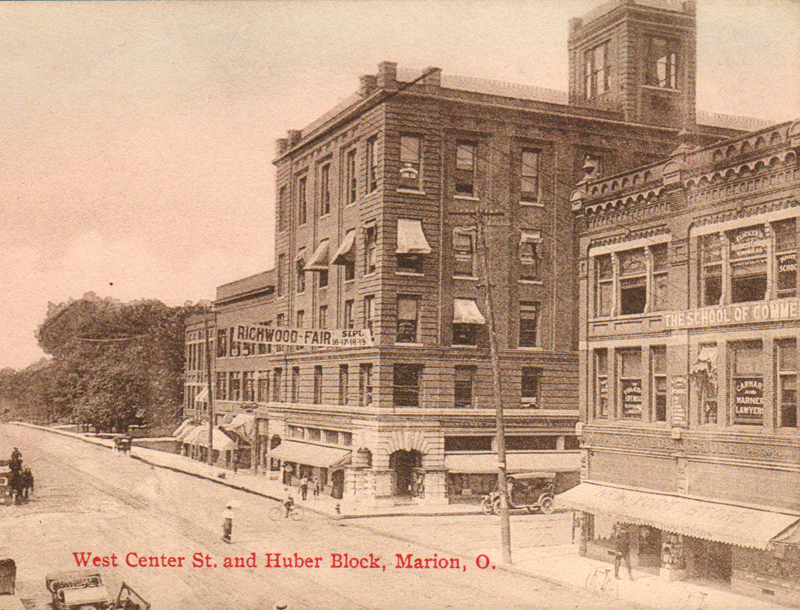 Of course, the Huber Building on the corner of Prospect and Center Street is well-known in Marion. Constructed by Marion industrialist Edward Huber in 1903, the building has been home to a variety of businesses over the years. 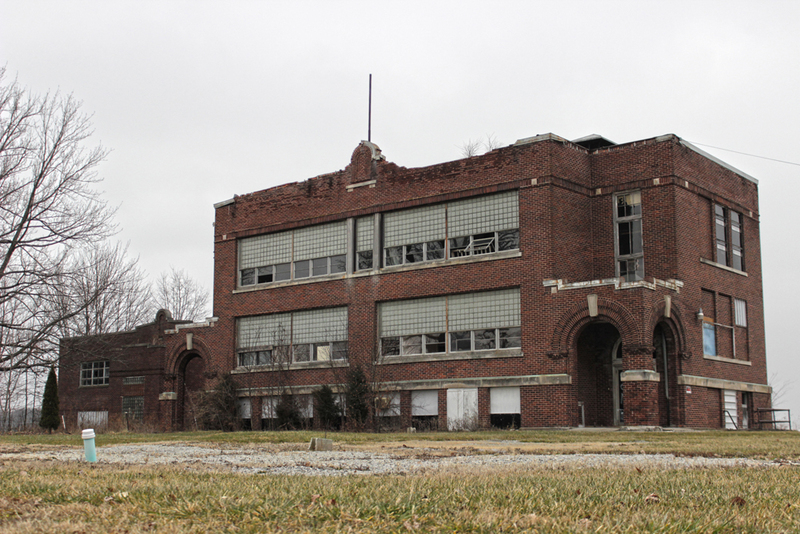 The property is currently being developed into lofts by Lois Fisher and Associates. This image is courtesy of Mike Crane who has an outstanding collection of old Marion postcards and photos which you can see on his website. As the renovations in the Huber building are ongoing, there are still areas of the building where signs of former tenants remain. 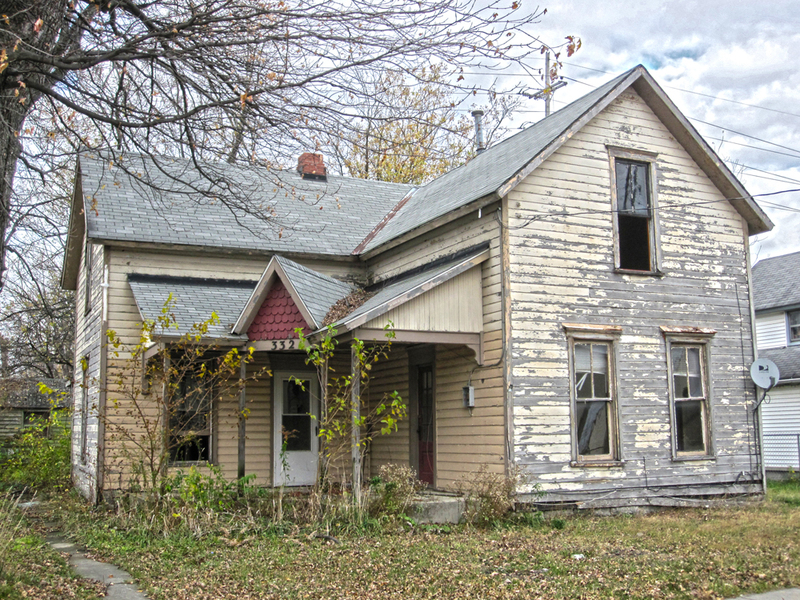 An abandoned house on Wilson Avenue. Located on the corner of Mt. Olive-Agosta and Mt. Olive-Green Camp Roads, this Methodist church dates back to 1893 and hosted a congregation until 1991. 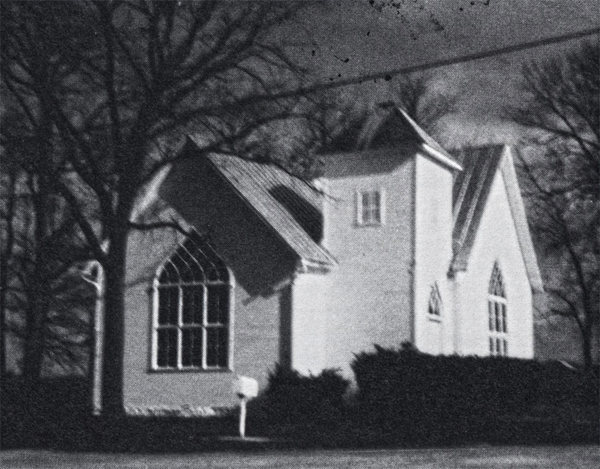 Currently, the former church is privately owned and facing an uncertain future. 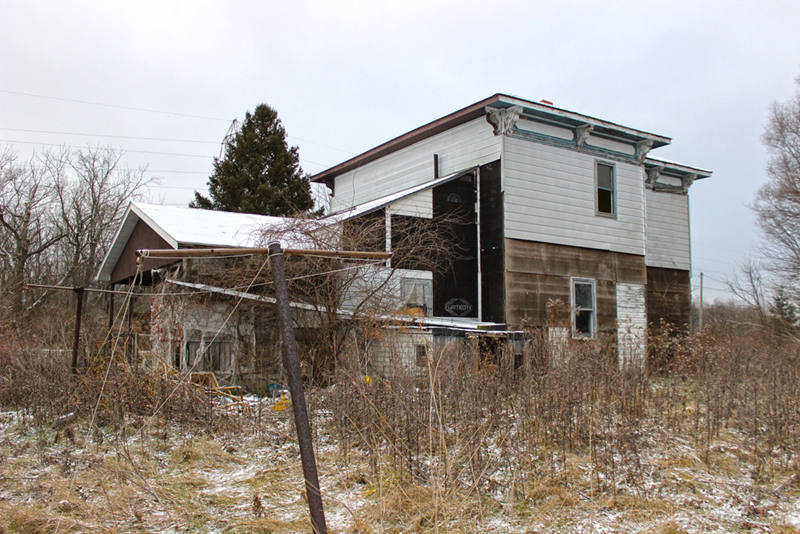 An abandoned house on Quarry Street. 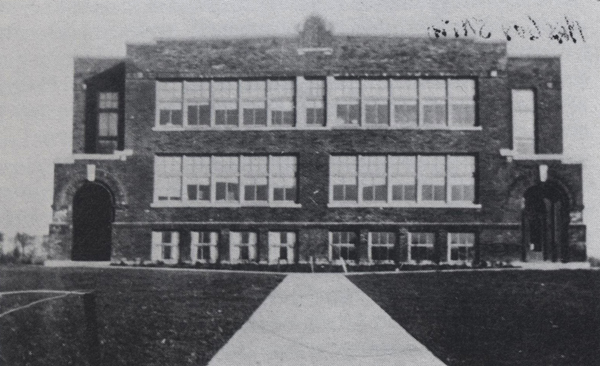 New Bloomington School was constructed in 1916 and became part of the Elgin Consolidated School District in 1960. By 1975 the building was only being used to house administrative offices. 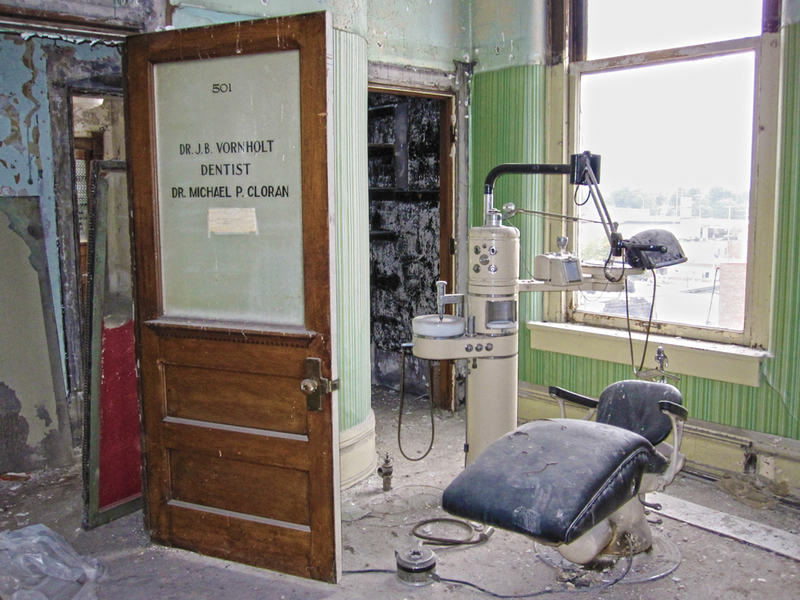 However, after these offices relocated to Kenner Road, the building fell into a state of disrepair. 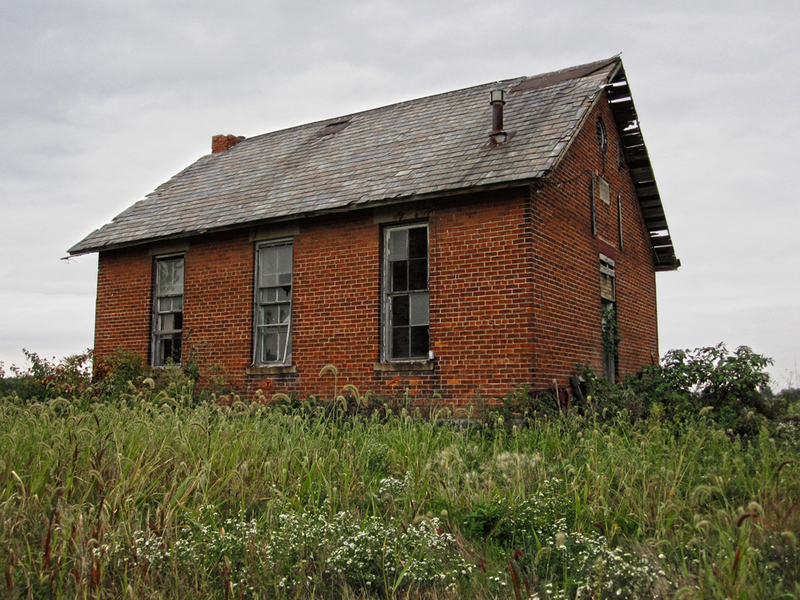 New Bloomington School in 2014. In February of 2016, three teenagers were arrested for setting a fire inside the building. 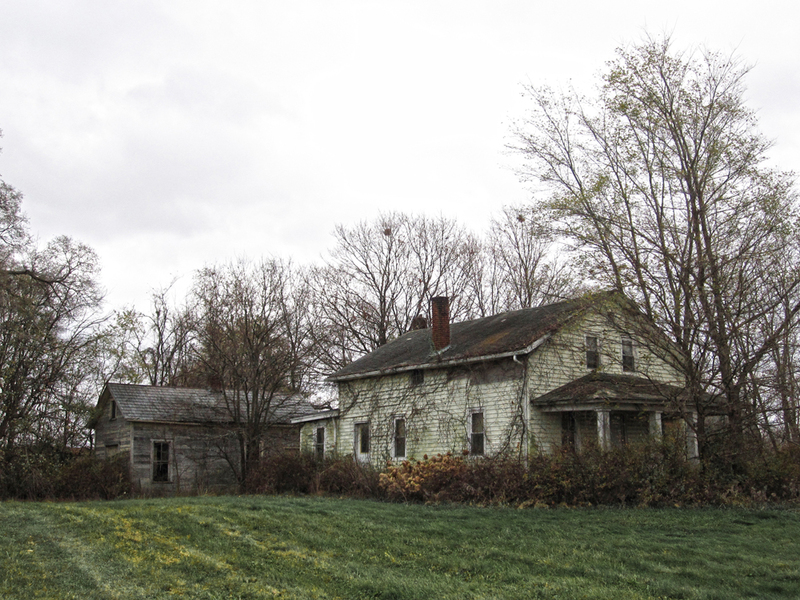 An abandoned house near the Corner of Owens Road and Route 423. 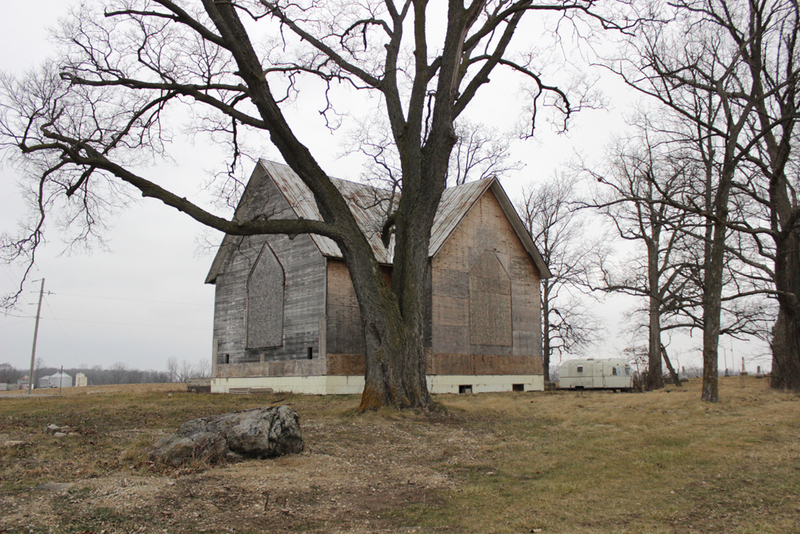 Located on the relatively obscure Showers Road north of town, this former one-room schoolhouse is currently being used to shelter farm animals. It dates back to 1896. On a personal note, this abandoned house on Fountain Street is a real heart-breaker. It used to belong to my aunt and uncle, and I have a lot of good memories of cookouts and hayrides there. I recently heard that someone was attempting to fix the place back up. I hope they succeed. The house on Irvin-Shoots was where my great aunt & great uncle and cousins were living during the ’78 blizzard. They lost power and had to cut up the antique dining room suite to burn in the fireplace for heat. Hey Dodi, holy smokes, that’s too bad. I love the trim around the eaves of that house. Hey cousin Dodi this is Holly’s daughter Savannah. This house on Quarry St. isn’t haunted. My ex used to live there. I’ve stayed in this house a few times. My ex moved because someone left him a house off of Adams St. where unfortunately he passed away due to a house fire. The house on Irvin Shoots was my grandparents’ and father’s house in the 70s, 80s and 90s. It’s a cool little place. It’s still in the family but unfortunately people have gone in over the last few decades and ripped it apart for scrap. Still a cool place I pass from time to time. That tree beside the house is GIGANTIC. We used to have a huge swing on it that hung 20-30 feet and you could go really high on it! As for spooky stuff, I personally never had anything strange happen.